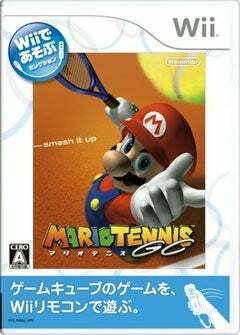 The newest Wii-make, part of Nintendo's "Wii de Asobu" series is Mario Power Tennis. It also happens to be Japan's favorite game, at least for this week-long span, landing the number one spot. Now that Japanese game releases are off vacation, things are starting to get interesting. Perhaps most notable are the number of PlayStation 3 games that charted this week. With the release of Fallout 3, Naruto Ultimate Ninja Storm and GRID in Japan, a total of seven PS3 games charted in the top thirty, according to Media Create. The latest new releases kick former number one, Dissidia: Final Fantasy, from its top spot. It's well on its way to a million copies sold, something it should probably accomplish by the end of February.